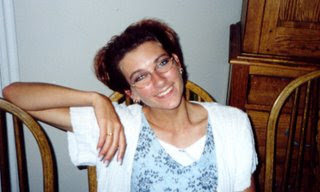 Yesterday marks 11 years that my dear friend Becca passed away in a car accident. It is hard to believe that 11 years have passed. The time has gone quickly and so much has happened in these 11 years without her. The details of that seemingly tragic evening are remarkably still very clear. Becca's passing was a defining moment in my life on what seems like a thousand levels. The first year after her death was a difficult one. I struggled to move past the tragedy of it, and had a difficult time understanding it all. The Lord sent me a wonderful Bishop who helped me put it all in perspective, counseled me, blessed me, loved me, and helped me heal. During this time I grew in leaps and bounds and became a shell of my former self. It was through this experience that I came to know I was to serve a mission and spent 2 1/2 years preparing to do so. I was able to marry Christian and have been blessed with three beautiful sons. I learned who I was and "what I was made of". I was a strong woman. Although this past year I have somewhat lost sight of the person I became during those years I know that she still exists somewhere inside me, and I am grateful for that. Becca's death continues to be a defining moment in my day to day life. Becca...You are gone, but NEVER forgotten. Thank You for the life's lessons I was blessed with through losing you. You are a wonderful friend, and I still consider you just that. I am reminded of you when I look at my husband and sons. I am reminded of you every time I'm in the temple. I have felt your presence many times, and I know you are not far.. Sometimes you are in my dreams and it makes me remember you and the fun times we had..Those are happy and tender moments. I will "forever love" you Becca Boo! Hey Jamee. What a sweet post. I have been thinking about her all weekend too. Miss that girl!